Well I have been on tour for nearly four weeks and it has been a very busy schedule. I had a wonderful visit to Singapore and now I am in the final week of my Hong Kong visit which has gone smoothly as well – I have seen so many familiar faces and had some very nice feedback which makes me feel appreciated. I have made mention to some clients that I am considering taking a year off from traveling which is what I did in 2010. That was met with cries of oh no Zandra – we need you! My stay in Hong Kong has been extended further again with extra times now available on Thursday and Friday this week but there is no room at the inn for me after that. Manila is my next stop and then I will also stopover in Singapore in April on my way home to the Gold Coast. With the missing Malaysian plane in every news bulletin, travel anxiety for many is on the high side and it is a question that I get asked all the time – what happened? In this issue, I will give you my insights. I could not escape thinking about all those poor people when I was flying over the South China sea a week after MH370. They have all been lost. There was a problem in-flight that had nothing to do with suicide or hijack as you will see when you read on. I have also shared my findings with a number of retired pilots and they have contributed information for this issue which makes for a lengthy read but I found their feedback on my analysis interesting and hope that you do too. At the best of times, I am not a happy traveller as I much prefer to have my feet on the ground as opposed to getting on a plane. I always have a very close check to see that my flight will be safe and I have many clients who make a practice of having me to do the same for them. 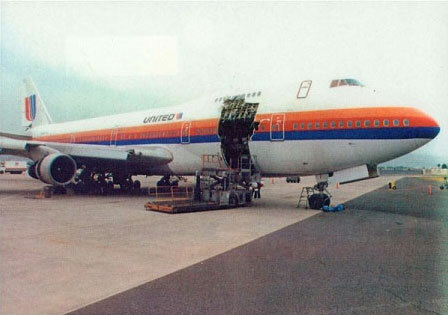 Years ago, I was booked in business class on the ill-fated United Airlines flight from USA to Sydney where nine passengers were sucked out of business after the failure of a cargo door. My travel agent had to re-arrange my flight after I saw that danger coming and she talked about it for years but for me it was just a little too close for comfort. In terms of feeling some anxiety when flying – because of my sensitivity, I sense the feelings of others on board and that does not make me feel any better even though I have the comfort of knowing my flight will be safe. Looking across his photograph, he comes up as a very good pilot. He loved life, he could be cheeky and wasn’t afraid to have a girlfriend around. He didn’t mind taking someone out for a drink, he had a good life and he enjoyed life, there was no thought of suicide in his mind. In fact he was planning on meeting a particular person socially at the next destination. When I first looked at this, the very first image that I could get showed electricity arcing and sparking from inside the bottom of the plane. This had started an hour into the flight. Later I specifically looked to see if was as a fault related to the plane or its equipment but it tells me that there was nothing wrong with the plane – the problem came from something in the cargo. There was no suicide, no terrorism and no bomb. 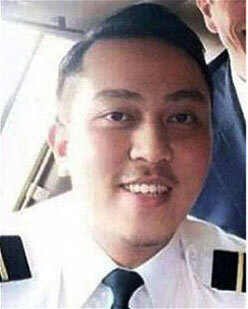 There was no thought by the pilot of doing something as a political statement for his sympathy for Anwar. He might have been a supporter but he had too good a life to spoil it. When I first looked at his photograph on the day that the plane went missing and followed his thoughts – when the plane was cruising and he had time to ponder his mind went to a lady that he was to meet – this was what the phone call was about and the sim card issue is all to do with her privacy. That is all you need to know. The conspiracy theories abound but when it comes to this pilot, he was dedicated and professional and it must be extremely distressing for his family and relatives to have such scrutiny. The Malaysian authorities need to put their focus on what was in the cargo – that is where the problem lies – not with this captain. Captain Zaharie Ahmad Shah was a dedicated professional and a very very capable pilot. He did all he could to save his plane and passengers. In the face of extreme adversity he remained focussed on doing what he was trained to do but without oxygen, in a cabin filling with smoke and fumes and a plane with systems offline, he succumbed to unconsciousness and eventually death before the plane entered the ocean. MH370 was doomed and there was nothing that he could have done to change that outcome. The pilots had been talking – copilot Fariq Hamid was talking about the woman he was going to marry and the captain was talking about a woman he was going to meet later that day.When the emergency started, the captain was giving directives and copilot was following them and for a time the problems were being handled quite well but then they quickly became worse and Fariq Hamid was panicked.There was an acidic grey smoke in the cabin and the copilot could feel heat under the flight deck.There was a melting of wires and this was directly connected to the communication systems. The plane was in crisis. The oxygen did not last long and the copilot passed out first with his last thoughts being of the girl he wanted to marry. 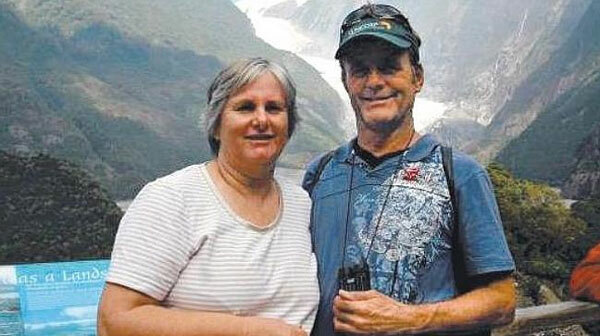 I looked at the photograph of a Brisbane couple on the missing plane and this is the information I gained. Everybody appeared fast asleep – there was no movement in the cabin at all so everybody had to be either unconscious or dead. As I looked at the photograph it went grey and gave me a misty opaque feeling. I have looked over a number of other passengers to find out more and the same results came from all of their photographs. The seat belt sign went on first. There was no announcement. Then after a time the oxygen masks came down but did not work properly – the air supply was compromised. One fellow was standing up – I saw him fall to the floor. People struggled to breathe and all ended up passing out. The very first time that I looked at this issue, I saw an image that gave me light from underneath the plane and it was crackling and arcing. When I look at the photographs of the people who were there, I get a fleeting glimpse and feeling for what was happening. From the captain I get activity for 10 to 15 minutes – and then black. The very first time I did this, it seemed that the plane had gone down then and there but that was not my focus at that time – I was searching for what had happened and the unusual circumstances could easily have allowed a different initial conclusion to jump to with the crew ceasing to function. My first thoughts were that the plane had crashed into the sea because it was like everything came to an end but with everybody passed out, the plane continued on. From the passengers, I get no sense of alarm – they were all calm – very calm it would seem – unconscious – and are still strapped in their seats. Some of the cabin staff were not in their seats – they do not seem to have been aware of what was happening in the cockpit. The last person to enter the cockpit was a staff member who brought food or drink and then left. It was an hour into the flight when the sparking and arcing started. The first significant image that came to me was electrical arcing and sparking but it was not a fire. On another occasion when I was going over it, it said that there was also some form of leakage. Everything in the cockpit was normal and routine until then there was a concern caused by a noise or a vibration (could have been some form of alarm). The captain took the controls and was flying the plane and there were concerns for a time. He brought the plane to a lower altitude around 26,000 feet. Then something else happened and it became a full scale emergency as there was a decision made to get the plane onto the ground. Oxygen masks came down, co pilot was in a panic and there seemed to be a strange gas/fumes – then I saw that the pilot set a new heading to an airport for an island off Malaysia that he could get back to – he turned around to a seaside town airport – coded into the computer and the cockpit was getting darker which I put down to smoke because I could hardly see him – then it went completely dark and I could get nothing more from him. It seemed that it was 10 to 15 minutes into the emergency before he had gone unconscious – after the co-pilot. My estimate is that the plane flew approximately three hours fifty minutes after it crossed Malaysia. I know this is different to what the authorities are saying and what the media is reporting but what I am doing is not influenced by anybody or anything so I have to give you the information it gives me. When the plane passed the airport that it had been set to reach on auto pilot, everybody on the plane was unconscious – crew and passengers. Keith has been in touch with a number of pilots including some who fly the 777 to try and get technical explanations for what I am seeing. Some of the feedback they gave is interesting. The other night I went back over everything that I had done in the last two weeks looking over photographs of the people and the plane and recording my findings onto an a sound file in one fluent session – which I emailed. Keith listened to that yesterday morning to format into the newsletter and said that my reading had pointed towards a diversion to a Malaysian island and seaside town which I had not made a point of previously. Keith asked one of my pilot contacts to plot an overfly to try and get some information to pinpoint where the flight ended and get some position in relation to the current search area. Later Captain X sent Keith a message and said “I have worked it out” – this is what I think the captain has done and it offers an explanation for the change of headings – he has headed for Penang and he has decided to approach from over the sea in case he had to ditch. See my email for my theory. Keith found a week old media article that had said the same thing so it seems we all had reached the same conclusion independently. My reading last night said a diversion to a seaside town on a Malaysian island. I am not a pilot but one piece of feedback that could be important is that I had the plane flying lower than its normal cruising altitude which I am told means that the plane would not have flown so far. The Captain descended to 25,000 feet and when it was not taken into a landing procedure, it had continued in a straight line – later I get a slow descent of the plane 19,000 15,000 12,000 11,000 9,000 feet then nothing – it entered one wing down slightly, one wing up. The plane is in a large piece, a wing may be off but it was not the type of impact to scatter wreckage which makes finding it harder. The current search is a lot further south then where I think the plane is but that is the best I can do using my age old methods of divining and my sixth sense that conventional wisdom cannot explain – I will let you make up your own minds and hopefully the search efforts will find the wreckage that will give up the secrets of MH 370 so that this never happens again. 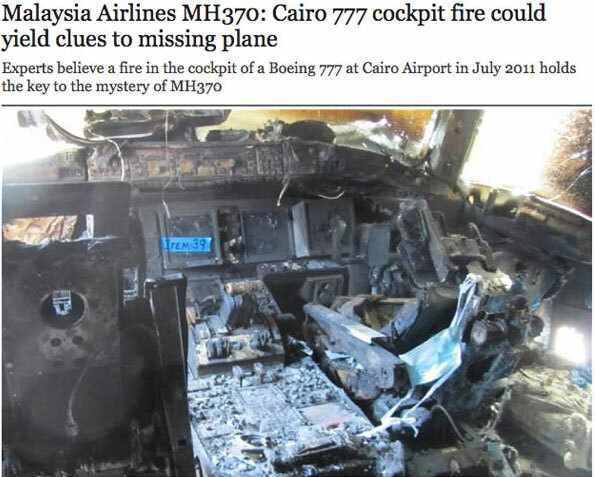 Keith was searching for an image to use for smoke or fumes in the cockpit when he came across this news story pointing to a fire in the cabin of a 777 in Cairo in 2011. A “blow torch” fire which led to a Boeing 777 being written off could explain the disappearance of the Malaysia airlines jet. The blaze, which started as the Egyptair jet with 291 passengers on board prepared to depart for Jeddah, caused extensive damage to the cockpit and fuselage. Passengers and crew were evacuated safely but investigators pinpointed a problem with the cockpit hose used to provide oxygen for the crew in the event of decompression. It is believed a short circuit caused the pipes to ignite, causing extensive damage to the plane. “In simple terms, this fault can cause a blowtorch type fire that will melt aluminium in a matter of seconds,” said James Healy-Pratt, an aviation lawyer and qualified pilot. No, I say no fire – a melting of wires, acidic grey smoke and fumes – but not a fire. Ok, so fumes and smoke in the cockpit, is nearly as bad as fire, because you just don’t know where its coming from. In this instance, it could just start as a smell, so you ask the cabin crew if they can smell anything in the cabin if not, for the time being, you continue, but stay alert for further signs of the smell getting stronger..
Later it gets worse and this time, its coming up through the equipment ventilation, so basically could be coming from anywhere below the floor even the forward cargo hold, could be anything at this stage leaking and without the NOTOC(notice to captain) of any dangerous goods on board we are guessing. However, once they establish that they have smoke or fumes (drill is the same) they would initally start to mask up, and immediately turn the aircraft towards the nearest SUITABLE airfield. I say suitable because its not necessarily the closest, the closest might be 6000 ft, and shut for instance. Remember . . Aviate first, then navigate, then communicate. so still at this stage no transmission to Air Traffic. So they are running the drill, It states. . . Don oxygen masks, and smoke goggles…. ( none of the following is an actual drill but it shows the sort of content you would expect )…….it goes something like this. 2. Divert to a suitable Airport. 3. Establish crew comms and cabin comms. 6. The aircraft air conditioning bleed off, one at a time, as it may be coming from one of the 2 air conditioners. 7. find the source of the smoke..etc etc which is difficult as it may be a number of things under the floor. 8. cabin switch off …. (lights and in flight entertainment go off). 10. If smoke is uncontrollable, consider ditching.. It goes on for the smoke removal checklist. You basically will end up descending then end up de-pressurising the aircraft so you can turn off the air conditioning and get fresh air into the aircraft, so you need to be at or below 10,000 ft. Older people or sick people can start to lose consciousness above this altitude. Lastly the aircraft flys on, if they put an altitude of 25,000 ft into the autopilot, when it reached that altitude, it would level out, and fly on and on, and on, eventually running out of fuel. One engine would fail first, the other would go to max speed to try to maintain altitude, and when it couldn’t it would leave the altitude set, slowly descending. This last part would answer why the aircraft did not necessarily descend and hit the water too hard. Engines burn fuel at different rates and often you get a slight imbalance, not enough to worry you, but it happens, thus one engine would naturally fail or stop before the other.. Hence if it left 25,000ft, one engine still running, it may have continued to fly to a lower altitude..(once again a supposition) as we don’t know exactly what altitude it was at. The last point of relevance is this, if, and its only an if, the aircraft was at a lower altitude, say 25,000 ft, it would not have gone as far as it would have done at 35,000 ft, as it would burn more fuel..
All of this is pure supposition and not intended to be in any way accurate, however it may give some insight to what may have happened on the flight deck. 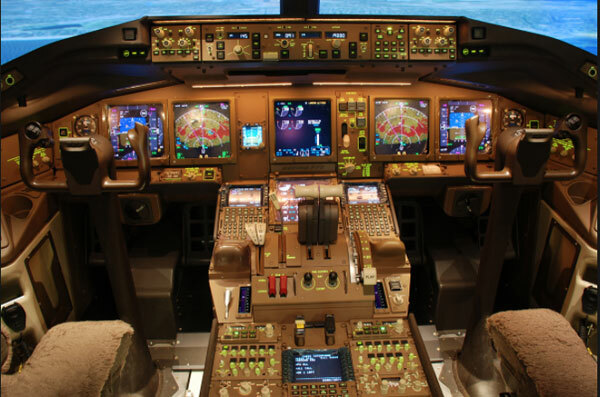 The point I would like to make, before any of this goes out is this…… if the Captain was keen enough to build his own simulator, then we must or should assume he was a professional aviator, who not only enjoyed his job, but took it seriously, and also knew procedures inside and out. It was pointed out to me by one of my colleagues, that Boeing has a new ” oxygen mask ” check procedure before each flight, this is to ensure that the oxygen is switched on in the lower cargo area, as it has , in the past been found to be switched off after deep servicing. The new procedure is to purge the line and keep the oxygen flowing for ” at Least 5 seconds ” to make sure it is switched on, as the line holds around 5 seconds worth of oxygen. At least 2 aircraft have had a problem with this in the past and at least 2-3 aircraft have had problems after starting an emergency descent due to lack of flow…. ….so this is a new Boeing directive that some companies have recently incorporated. Maybe Malaysian had not yet done it. The Air France accident was caused by defective pitot tubes, these were known to ice up, as at least one airline had an incident with “unreliable airspeed” and after that, all operators were advised to change these pitot tubes by Airbus, I understand. Air France may not have done that ……. So a lot of things happen and sometimes can be caused by a “I don’t think it will happen to us attitude”. That may be the case in this accident. No blame can be attributed to any one thing and for something like this to happen, it needs to be a series of problems, it needs to be smoke, alarms, possible decompression, but most of all needs to be a lack of oxygen or some further failure to lose the aircraft the way it happened. It may have started out with a smell in the flight deck, they started to try to isolate the cause, and one of the first things you do, is mask up. Aircraft have been lost due to fire, its the worst thing you can have, you go as fast as possible to the nearest long runway, in this case it would have been Saigon. That didnt happen, so it cant initially have been that bad, so assume no fire….. So he decides after maybe a few minutes, that they will head back towards land, he maybe at this stage just turned the aircraft left on a heading, thats the easiest way initially. Then it starts to get worse, the first officer is new on the 777, maybe having problems with the ” electronic checklist ” its totally new for him, to find a fumes or smoke checklist is difficult in the sim ( let alone when you are scared ) then reading it, confirming it, and checking stuff off is tricky if you dont know it well…… there are 3 different colours in the checklist, blue, green, and white, they all have reference to a different significance therefore its important to confirm each stage with the other pilot, most drills take 2 people to check and make sure its done in the correct order, otherwise stuff gets shut off that shouldnt be etc etc…. So in the meantime the Captain makes a quick decision, lets go to the nearest suitable airport with an overwater approach, he doesn’t want to fly low over land with an aircraft that may be burning, total supposition, but if he’s good he will be thinking about people on the ground..he thinks, ok we both know Penang, good long runway lets start going there….. He now has to think about a descent and an approach into runway 04 in penang, but he cant leave the first officer to do it, the guy is already confused, scared and out of the loop, so he says something like… ok give me ” VPG ” put it to the top, and execute. done… engages LNAV and off the aircraft goes…5 secs, ok next , rather than look for the approach in the box which could take too long, he says… bring VPG back down, give me VPG/300/30, then put in VPG220/30, and execute….done, another 10 secs…..now back to the aircraft problem…back to the checklist. What hes done now is created 2 more waypoints for the aircraft to fly itself to ( again total supposition but i would have done it a similar way ) one is on the 300 radial from penang at 30nm over the sea. once arriving at VPG, the aircraft will turn right, and head out there, he was probably thinking he would descend below safety altitude when he got overhead the beacon. Once the aircraft reached this point, it would then turn left to a point that is 30 nm on the 220 radial from penang, which is then 30 miles on the extended centreline for runway 04 at Penang. 04 is the favoured approach, as it is overwater, and they both will have flown it many times. ( incidentally if they had also put in after each waypoint an altitude, say 25,000, once that was set in the altitude window, the aircraft would automatically leave 35,000 ft, and level off at 25,000 as it got closer to penang )…again supposition, however there are reports of the aircraft descending, this maybe why. the point VPG/220/30 is a radial, and as the heading of the runway is 040 that is the heading you select when you go over that point) a reciprocal of 180. Then they navigated….after that they would have descended, gone fast, and then communicated once it was all sorted out and they were heading in the right direction…..
We know that call didn’t come. The last point of relevance is this , if , and its only an if , the aircraft was at a lower altitude, say 25,000 ft , it would not have gone as far as it would have done at 35,000 ft, as it would burn more fuel. All of this is pure supposition and not intended to be in any way accurate , however it may give some insight to what may have happened on the flight deck. The main thing for people to realise, is that it was dark, late, not many aircraft around and they would have been naturally tired, as their body clocks would have been in “night mode”. In those situations anything happening is a challenge . . . I appreciate the feedback from the pilots who have assisted with a technical review of what I have seen. 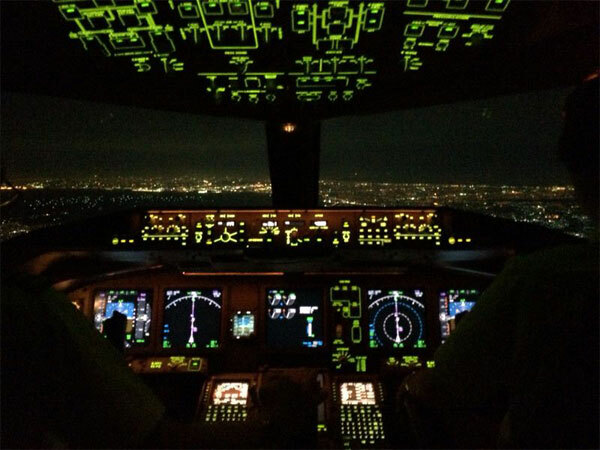 As I said before, I am not a pilot but to have pilots interpret what I have seen and provide logical and technical feedback that provides theoretical support means that what I am saying cannot be easily dismissed and is plausible. 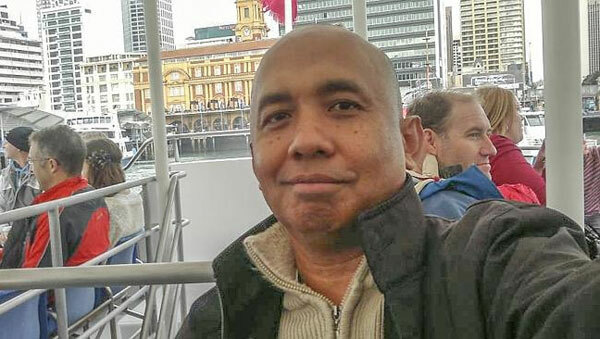 I can say without any doubt that there was no hijack, no bomb, no suicide, no terrorism and I have said that from day one as my facebook friends will attest. Even Keith called me on the day the plane went missing and said that this sounds like terrorism. Even the pilots that I have been referring to said the same but I said then as I say now, I don’t get any feeling of terrorism and the subsequent work I have done on this has showed consistent results from all of the different angles that I have used. 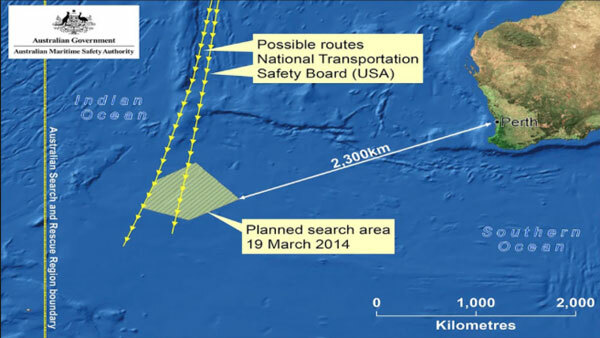 When it comes to the location of the wreckage, I feel that it is well north of the current search area. As I described earlier, the plane did not fly this far south and I have it flying lower at around 25 or 26,000 feet which I am told would take more fuel because the air is more dense at this level. If the authorities have presumed that the plane flew at 35,000 feet until the fuel ran out then they are too far south. I had the plane doing a series of descents and Keith checked this morning with a pilot on this and he said that if the crossover valves were not open then it could have ended up flying at some point on one engine. I would need to spend more time on this to get more information but what I have is a flight time of three hours 50 minutes from Penang area. I know that there was damage to the wiring and there were systems that were out so this may have been factor as well – not a level of detail that I have gone down to yet. That is as close as I can get for now.